Shortly before my holidays I had some business to attend in Kilkenny, and used this as an opportunity for a detour through the countryside. 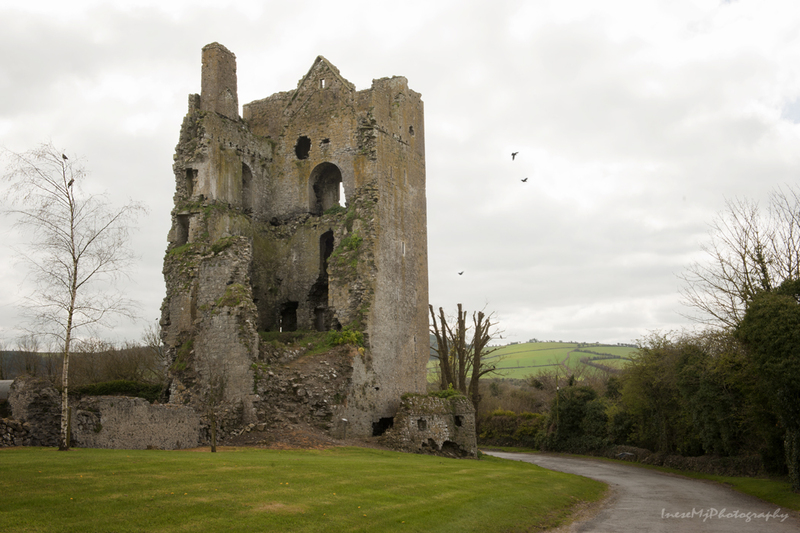 I took the Freshford Road and turned right to Three Castles. This is a beautiful road with some very nice spots for photography. Because my friend used to live there, it is a ‘memory lane’ to me as well. The first picture was taken from Martin Campion pub doors. 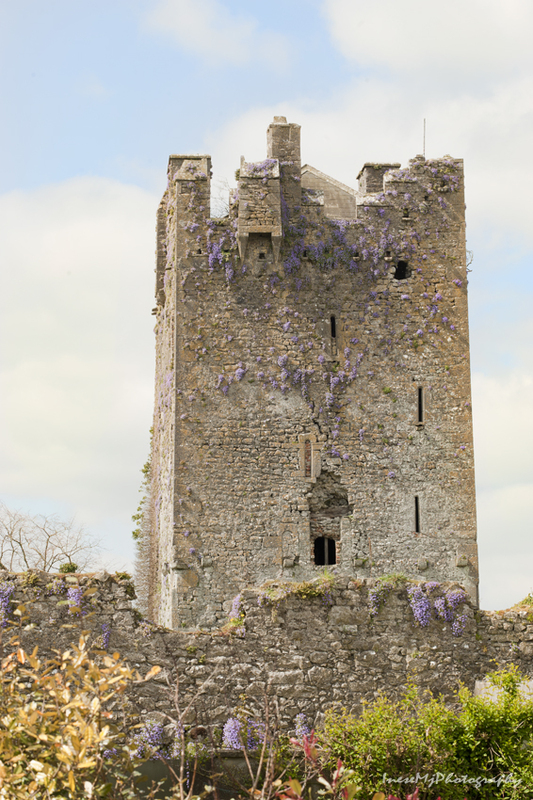 According to the Lonely Planet, there is 0 things to do in Three Castles, Ireland. I object to that. There is a castle, church and graveyard, and some day I will put up a post about them. 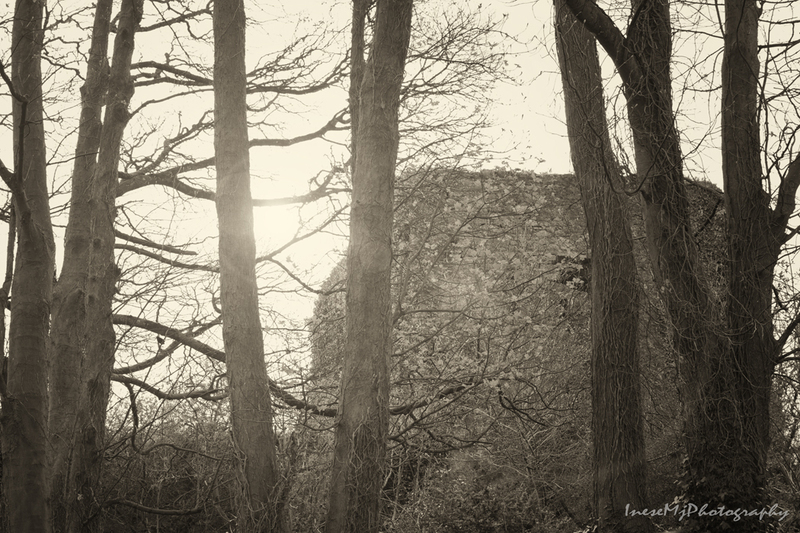 This time I only took one picture of the castle, from the road – I think it looks nice in b&w. Also, there is a beautiful limestone bridge, dated 1790. I walked a little bit further and found a roadkill – a huge pine martin. I was very sad for the unfortunate animal. 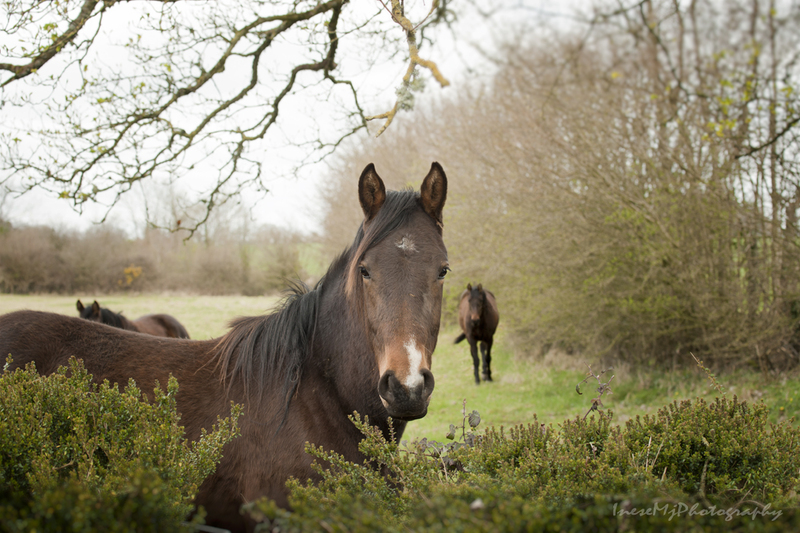 Wildlife in Ireland is scarce. I took a picture but didn’t feel like posting, because the carcass was badly damaged. 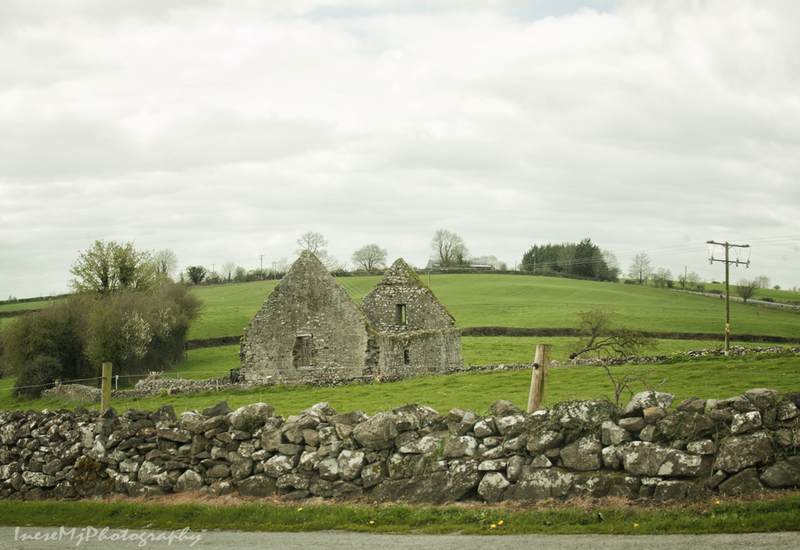 After driving through Three Castles, I turned to Ballyragget. 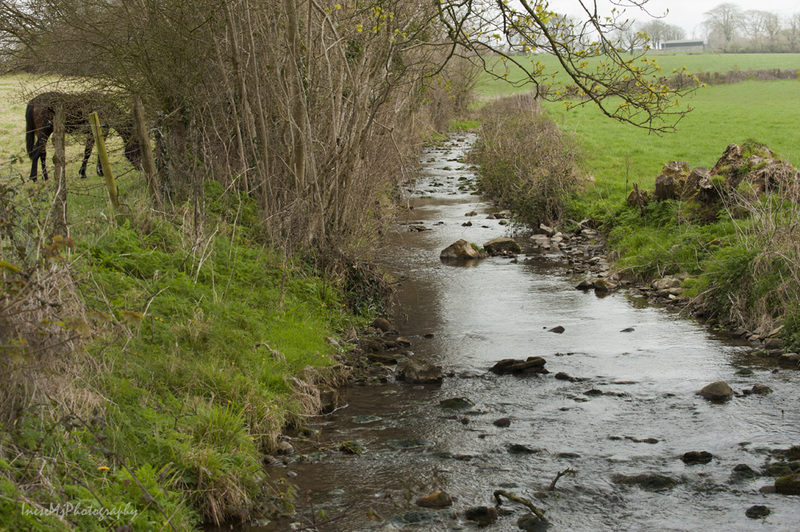 The village of Ballyragget was named after le Raggeds who had lands here in the 13th century. This castle was built in 1495 and belonged to the Mountgarret Butlers who lived here until 1788. Richard Henry Piers Butler, 17th Viscount Mountgarret, died in 2004. 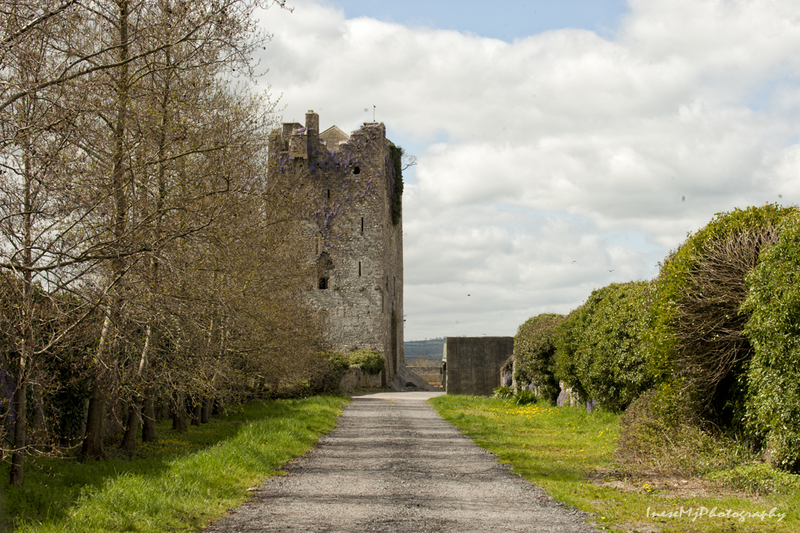 He served in Irish Guards – well, some of the Mountgarrets were in opposition to the crown in the 17th century and distinguished themselves by defense of Ballyregget castle. There is no access to the castle grounds, so I just took two pictures from the road. Oh, how could I forget! I bought a .99 in Ballyragget! A .99 is the name for and Irish cone ice cream, the best in the world 😉 If you happen to drive through Ballyragget, buy one in the local store. After enjoying my .99, I left Ballyragget and turned to Lisdowney, a tiny village on the border with Co Laois [ lee-sh]. I have fond memories about the place and the church where I once helped with the Christmas music rehearsal. Some day I will share more pictures and stories. These pictures of the countryside don’t need much comments. 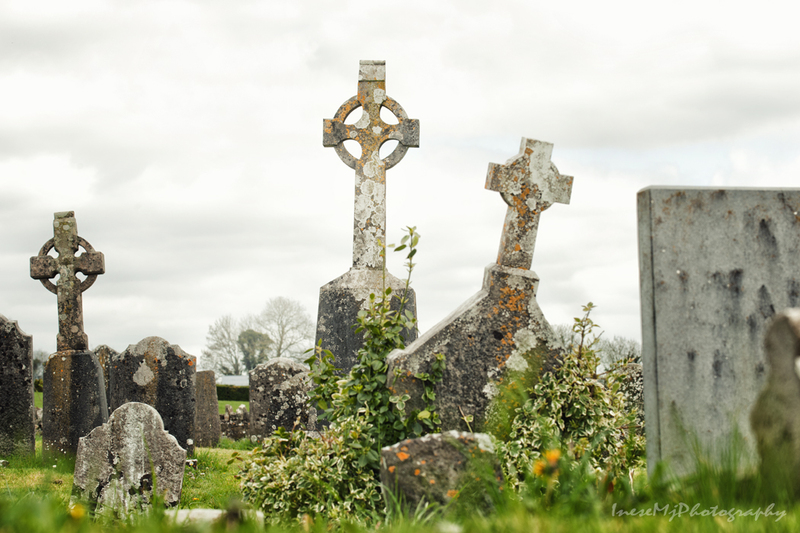 Irish graveyards are special. If you are interested, you might check the link – a friend of mine takes part in the project Historic Graves. This is St Bridget’s, Aharney, graveyard. You probably wonder, why this title, and where is Sheela? Now we are getting there! 🙂 My plan was to drive to Cullahill and take a hike through the forest. 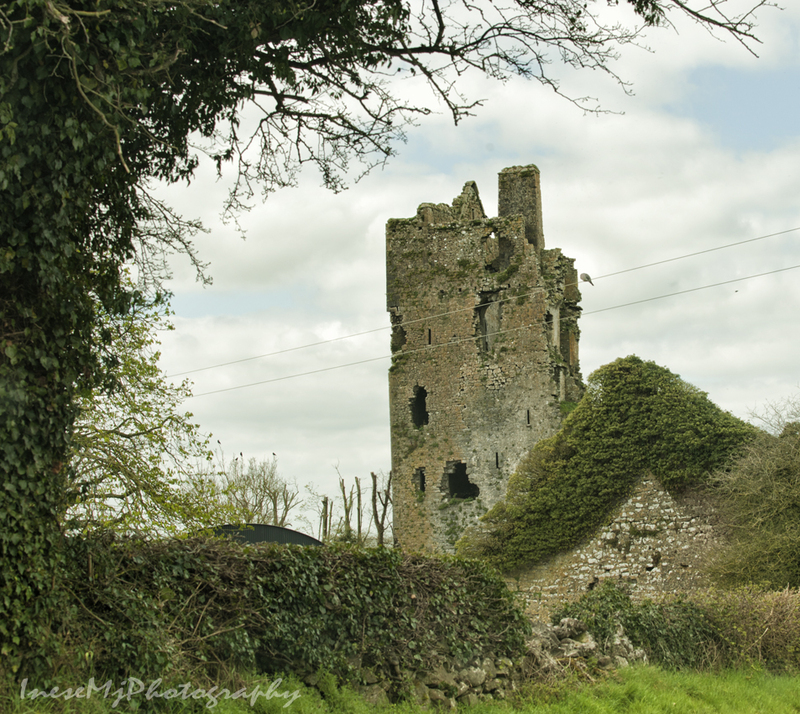 When I approached the village, I took this picture of the Cullahill castle ruin. 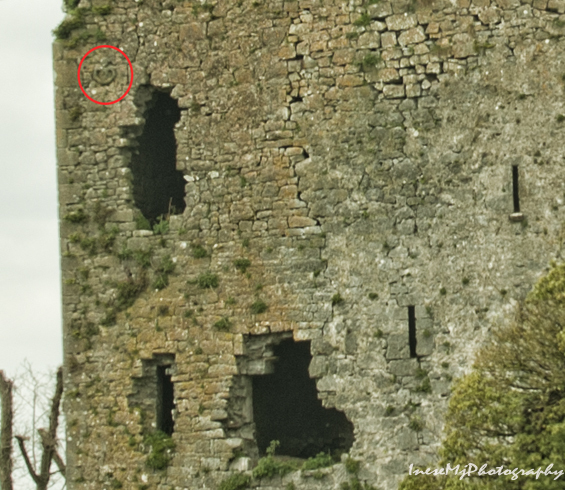 I zoomed it to see what kind of bird was sitting on the electrical wire, and then I noticed something interesting on the castle wall! A Sheela! There was a Sheela na gig on the castle wall! I didn’t have a longer lens – you can have a closer look if you open the link. There are a few theories why people placed the sheelas on the churches and castles – I guess they had some benefits from doing that. It is amazing how this one survived the centuries and the destruction. They say there are 101 sheelas found in Ireland, but most of them in museums. I was so delighted about the sheela, and so proud that I got the picture. This is the Northern wall of the castle, badly damaged by cannons of Cromwellian forces in the 17th century. The hill of Callahill in this picture, where I was heading, is hidden right behind the castle. Across the road from the castle there is a ruin of a chapel. My hike was over before it even started. I was driving that extremely narrow road to the hilltop, mortified with the thought that someone might drive downhill and knock me off the road to my death. When I reached a parking spot, I quickly turned around and drove back even more horrified, because this time the abyss was on my side of the road. There was one car parked, and fortunately no one else felt like hiking that afternoon. I even didn’t take any pictures of the hill. 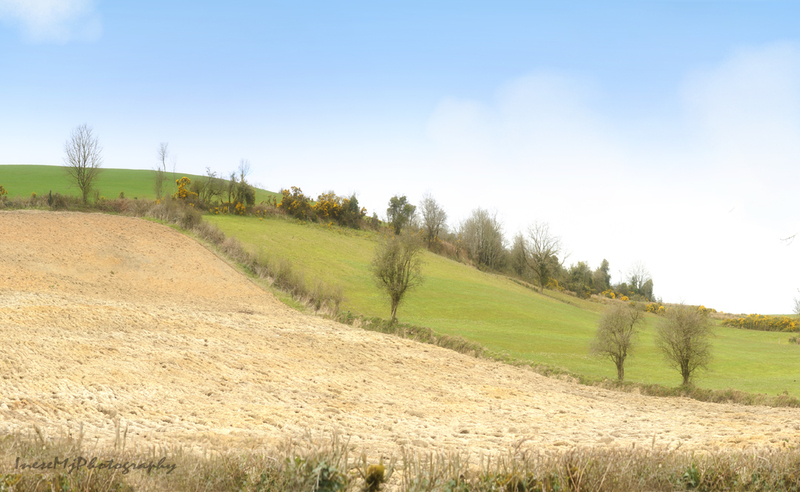 On my way back I took a picture of this property near Freshford. It is for sale. 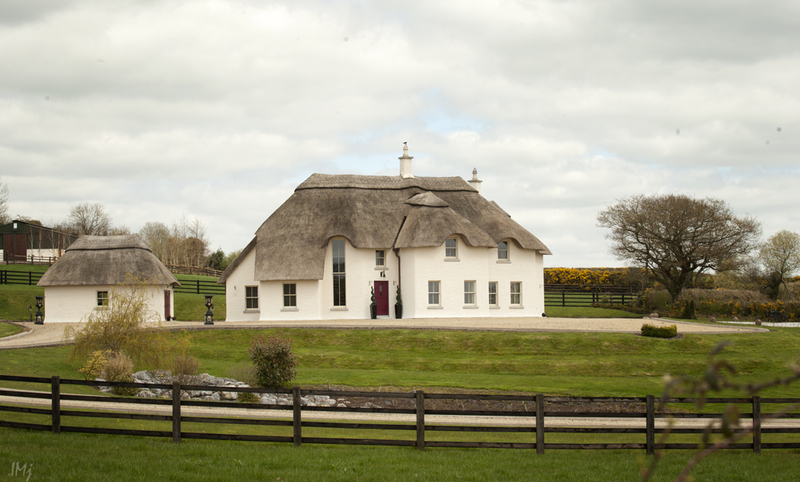 Thatched roof looks so cute. The sky finally cleared and I drove home. Thank you for taking the trip with me!